Racine Roofing and Remodeling provides doors & windows installation & Gutter Repair in Racine, Kenosha, Sturtevant, Caledonia, Milwaukee, and Franksville, as well as all over Wisconsin. Compliment both the exterior and interior of your home with new window and door installations. Improve the efficiency, security, and resale value of your home, as well as reduce sound transmissions. A solid core door is made with an inner core of wood, foam, or chipboard, which is laminated with plywood or steel. Benefits include insulation, soundproofing, and fire safety. Solid wood doors have a warm, natural look and are available in an many wood grains to coordinate with your furnishings. 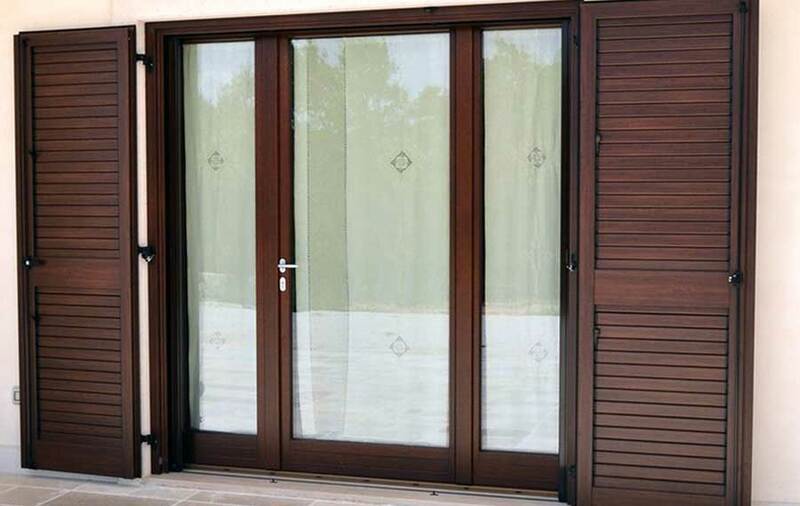 They have the weight you can’t find in solid core doors, and they are the best sound insulating doors you can have. Molded doors are faux wood doors that are made from fiberglass. This means they have a lower cost than wood doors. Pre-hung doors come pre-assembled with a frame, hinges, and a knob, and they are great for a new installation, where there is no existing frame. Slab doors come without hinges, knobs, or a frame, so they make a good option for replacement doors, if a frame already exists. This choice also allows you to choose your own hardware. Hollow core doors are light and inexpensive, consisting of a frame or cardboard baffle (meant to reduce sound and light transmissions), onto which a plywood veneer is glued. Plantation doors have horizontal slats that allow for air circulation, which make them great for laundry rooms and closets, but they are not recommended as main doors for bedrooms or bathrooms. Bifold doors have hinged panels that are hung side by side and fold in against each other. They are great for tight spaces, because they fold instead of swinging open. Pocket doors are also great for those tight spaces, because they open by sliding into a wall pocket. French doors allow light through, making a room feel bigger, because they consist of glass panels that extend the full length of the door.